The Pro Guide V-16 SC gives any angler the perfect combination of big-water capability and responsive agility. 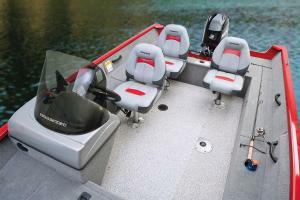 And with a standard Mercury® 60 ELPT FourStroke outboard, you can get to your hotspot swiftly. Max. person weight 700 Lbs. Max. weight capacity 1250 Lbs. Approx. package weight 2276 Lbs. Exceptional amounts of interior storage include 2 top-loading side rod/gear lockers, 3 bow compartments and 1 aft dry storage box. 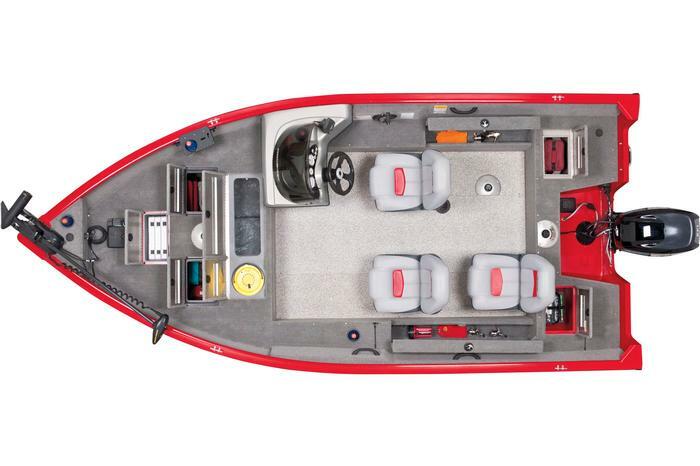 In the bow is a huge 23-gal. (87.06 L), 40" (1.02 m) aerated, divided livewell with a removable bait bucket—and it’s timed and recirculated with a pump-out system. 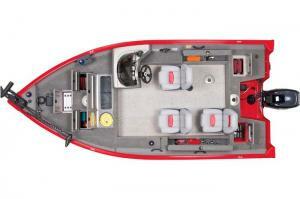 And you get 2 movable 360°-swiveling fishing seats with 5 seat base locations. Approx. Package Weight 1942 Lbs. Max. 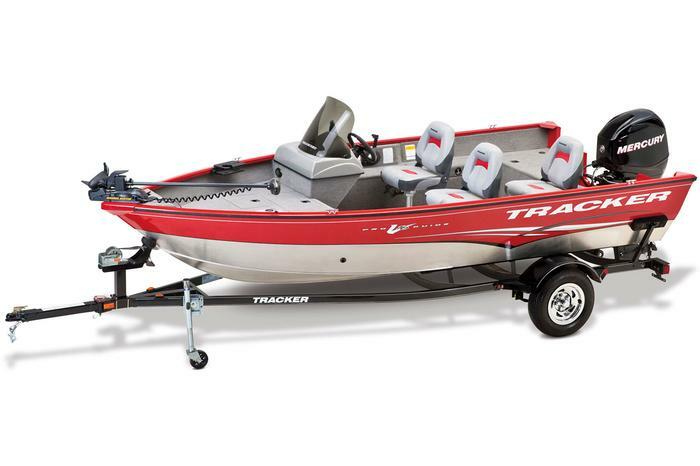 Weight Capacity 1125 Lbs. Max. Person Weight 620 Lbs.